After a very shaky home performance against Brentford, I’m still a bit concerned about Bristol City – not only is their play-off challenge in jeopardy but they don’t want to be carrying that sort of momentum into next season. Reading‘s own collapse is even more concerning given their league position, although improving Barnsley are still five points behind the Royals. Sheffield Wednesday meanwhile look to have arrested their own slide – perhaps some of their injured players are returning to the fold. 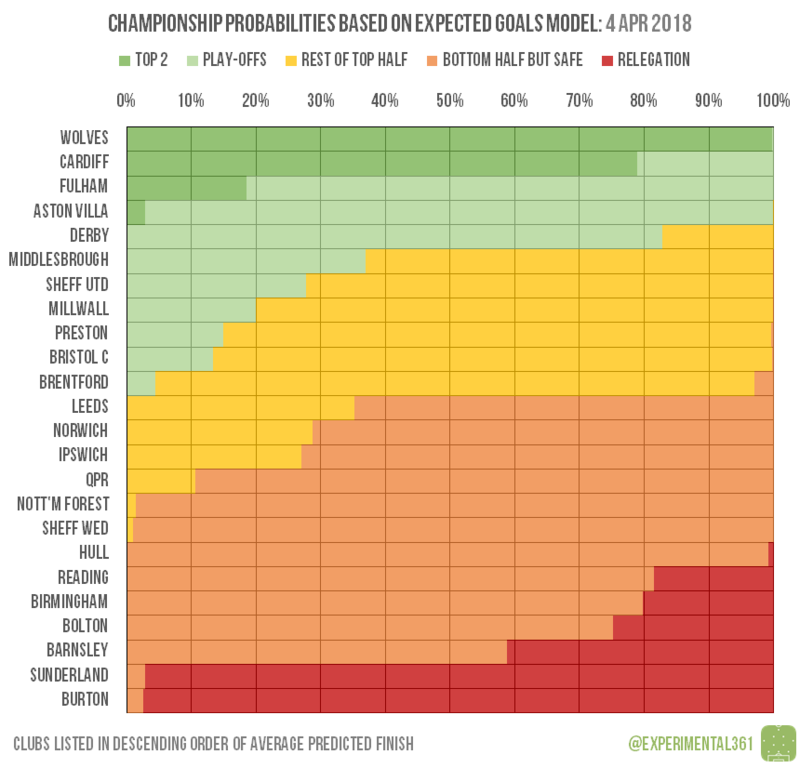 Fulham appear the only realistic challengers to the top two for automatic promotion, while Derby‘s backs-to-the-wall win means that there may only be one play-off place for the chasing pack behind them to fight over. 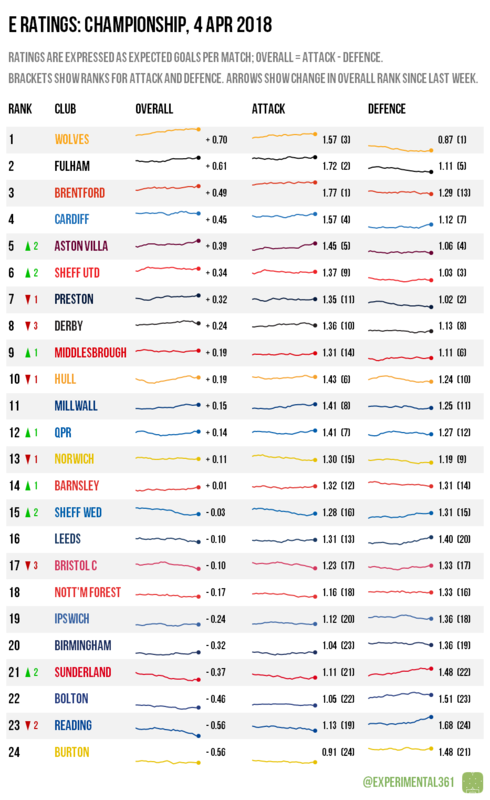 At the bottom, both Sunderland and Burton look doomed, but Birmingham‘s resurgence means that it’s tricky to call who might be completing the final bottom three. The top two are now mathematically guaranteed at least a play-off finish, although it’s hard to imagine either Fulham or Villa slipping out of the top six at this point. 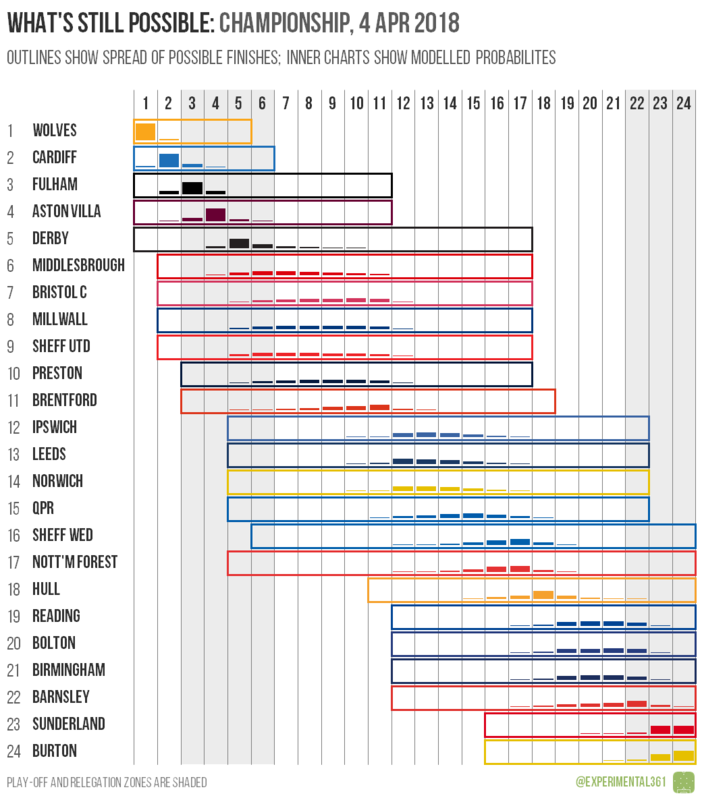 There are six clubs – from Ipswich down to Forest – who can still be either promoted or relegated, while everyone from Sheffield Wednesday downwards can still finish bottom of the pile.